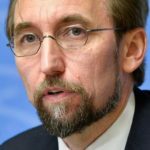 UN High Commissioner for Human Rights has questioned whether Fiji’s independent institutions are truly autonomous. Fiji Elections Office as examples of bodies that are not truly independent. “I am concerned about a basic structural flaw that bring into question whether these bodies are truly autonomous,” said HC Zeid Ra’ad Al Hussein at a media conference at the end of his Fiji visit. The outspoken Jordanian Prince whose term as UN High Commissioner for Human Rights comes up for renewal in August this year, has made it clear that he will not soften his stance on human rights issues just to be re-elected to the office. He was apparently reacting to pressure from Washington. Even on his Fiji visit, Mr Al Hussein left no holds barred in raising a number of issues of concern to him regarding the state of human rights in Fiji. He urged the Prime Minister and Attorney General to ratify two core UN Conventions – the International Covenant on Civil and Political Rights (ICCPR) and the International Covenant on Economic, Social and Cultural Rights (ICESCR). He has also asked government to ensure that Fiji legislation is in line with the provisions of both these UN instruments. High Commissioner Al Hussein’s concern support Labour’s oft-repeated claim that sections of the Electoral Decree and the Constitution stand in violation of our civil and political rights as enshrined in the ICCPR. We refer specifically to the provision that bars trade unionists from contesting general elections and holding political office; and the provision that disqualifies former prime ministers Laisenia Qarase and Mahendra Chaudhry from contesting two general elections. He had earlier expressed doubt that the Fiji Elections Office was an autnomous institution because of “basic structural flaws”. “His observations on the FEO have a direct bearing on whether we can expect FEO to deliver free and fair elections. 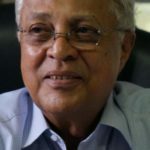 Opposition political parties have consistently maintained that this will not happen unless the recommendations of the 2014 reports of the Multinational Observer Group and the Electoral Commission are implemented in full,” said Labour Leader Mahendra Chaudhry. “Another related issue is whether Mohammed Saneem should be removed as Supervisor of Elections in light of the observations made by the Fiji Court of Appeal in its ruling delivered late 2016 which was critical of Saneem’s conduct in the course of the 2014 general elections,” Mr Chaudhry said. On the 2018 general elections itself, HC Al Hussein said it was “critical to ensure that the environment was conducive to a participatory process” . Concerns had been raised that delays in announcing an election date may leave political parties and civil society little time to engage and participate meaningfully. To ensure free, credible elections, civil society organisations should be allowed to serve as observers, he said. “It would also be advisable to have international observers carry out election monitoring to demonstrate confidence in its domestic processes and cement its global reputation as a democratic power,” Mr Al Hussein said. Media – he expressed concerns at curbs on media freedom which inhibited investigative journalism and coverage of issues deemed sensitive. It also discouraged a plurality of views. The UN’s view is that laws to combat hate speech be carefully construed and applied “to ensure that they do not curtail legitimate expression”. Violence against Women – was one of the biggest human rights problems in Fiji society, he said and urged an increase of women in the police force, parliament and within the executive. Climate Change – had a profound impact on a wide variety of human rights – even violence against women. “HC Al Hussein’s statements must be taken seriously by the Opposition political parties particularly in relation to the autonomy (independence) of the Fiji Elections Office. “We just can’t have another rigged election. “The UN High Commissioner has left a very strong message for us in Fiji. It is a matter of concern that the local media did not report the key issues he raised,” Mr Chaudhry said.